Shopping for a new foundation online can be intimidating, especially when it comes to finding the right color and coverage for your face. 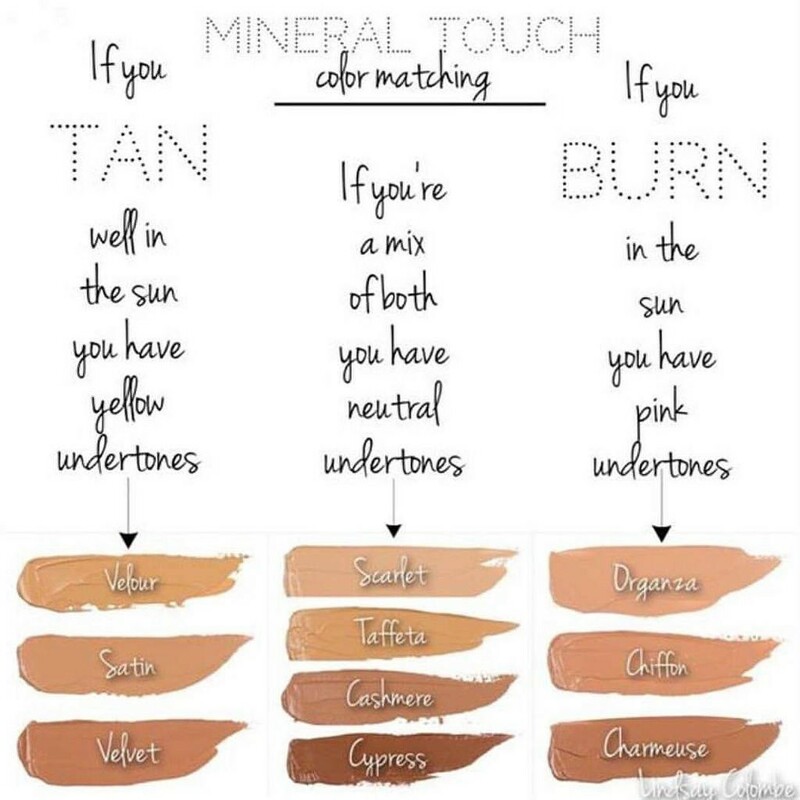 This Younique foundation color matching guide will help you to correctly color match your skin tone to the perfect Younique Foundation in Touch Mineral Liquid, Cream or Powder. Remember, when you are color matching foundation, you want to match to your skin tone, not to the redness on your skin. You want to cover any redness for a flawless look. If you would prefer to have someone match you you can email me Youniquelyaudrey@gmail.com and tell me if you tan or burn in the sun, the color of the veins in your wrist and send a picture of your face in natural light, preferably without any makeup. I will not share any pictures you send it’s just the best way to help you get the best color match. 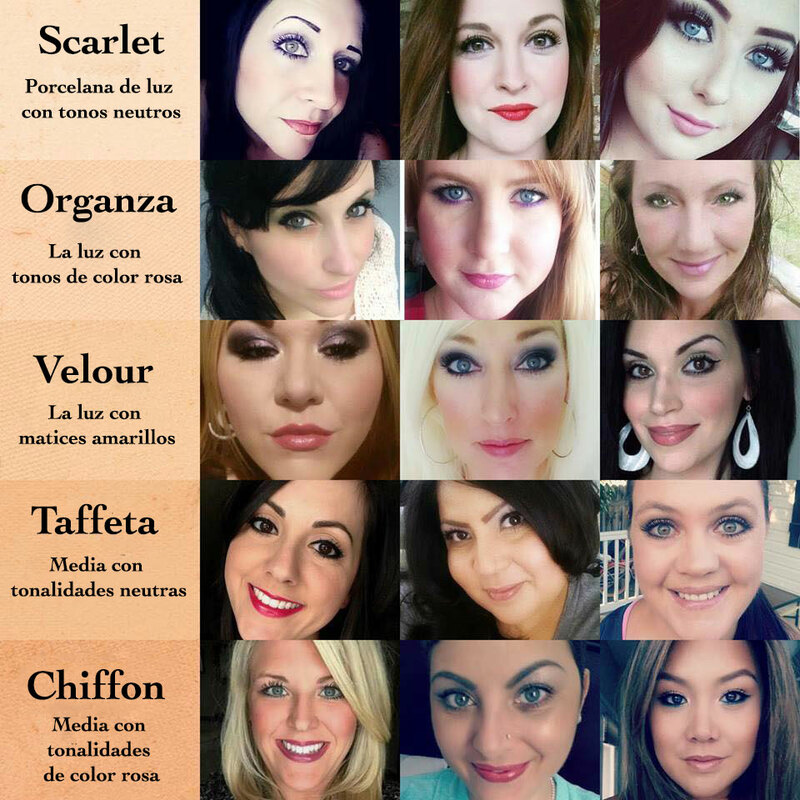 To color match yourself which is very easy to do, follow my detailed Younique foundation color matching guide below step by step for the best results. Also keep in mind with Younique you have a Love It Guarantee to try our products risk free so don’t have to worry. STEP 1: FIND YOUR UNDERTONES Start with this, when you are in the sun do you typically tend to Tan, Burn to Both? STEP 2: Look At The Veins In Your Arm In Natural Lighting. 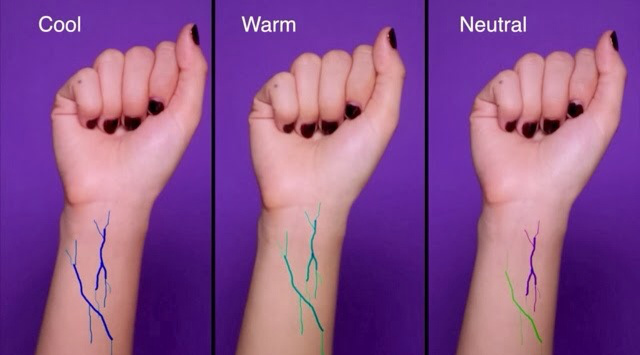 If Your Veins Are Blue You Have Cool (Pink) Undertones, If They Are Green You Have Warm (Yellow) Undertones If They Are Hard To Tell Or A Mix Of Colors You Have Neutral Undertones. After You Have Determined Your Undertones Refer Again To The Image Above. This Will Help You See The Colors With Your Undertones Better. If You Have Found Your Color Match Click Below To Order, If You Still Aren’t Sure Keep Reading For More Color Images and Help. 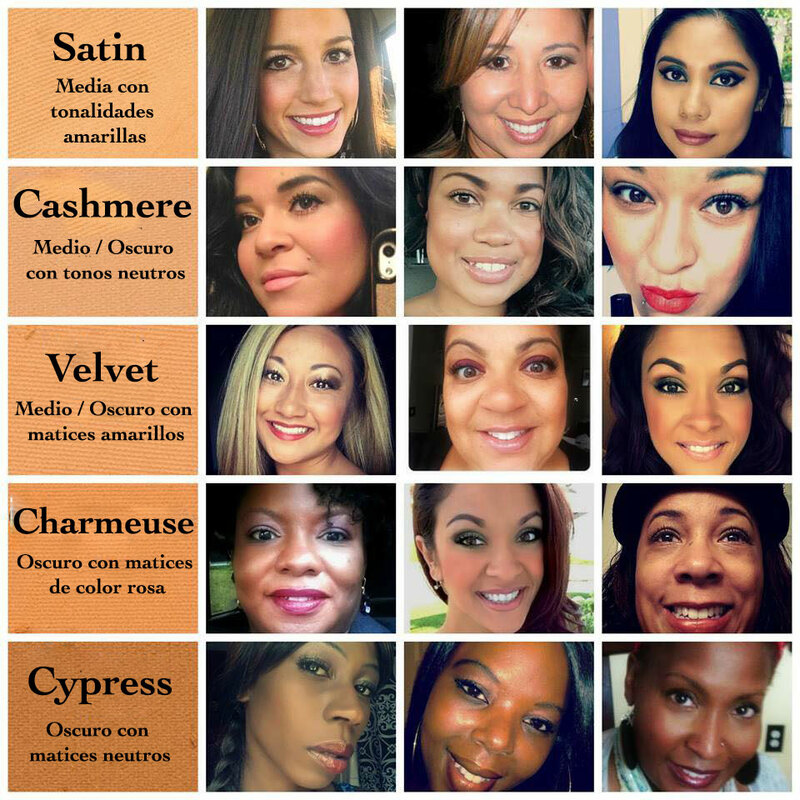 Next Decide If You’d Like To Purchase Younique Touch Pressed Powder, Touch Cream Foundation or Touch Liquid Foundation by Reading This Guide Based On Skin Type or By Watching These Videos Below. NEW LOOSE POWDER FOUNDATION IS HERE!! YOUNIQUE TOUCH PRESSED POWDER FOUNDATION Younique Touch Pressed Powder Foundation $32 Younique Touch Cream Foundation and Touch Pressed Powder Foundation Set Of 2 $60 Now that you have read this Younique Foundation Color matching guide, you are sure to get the perfect color match for your skin and the coverage you desire. If you still need help please email me @ Youniquelyaudrey@gmail.com and I will do my very best to help. As always all Younique products have a 14 day love it guarantee! So you can buy with complete confidence.